Say Goodbye to Winter with a Caribbean Getaway from Bgo Casino! So finally, its that time of year again where we can say goodbye to the cold days and say hello to the hot days! Well, here in Britain saying hello to summer might not mean much to some people because we're so used to rain and grey clouds, which is why it would be great to look forward to a holiday somewhere where the sun is always shining. Holidays can be expensive though, but if you head over to Bgo, you can be in with a chance to win a 7 day holiday in the Caribbean! If you think that a 5* stay in the Hilton Barbados is something you could do with, all you have to do is head over to Bgo and play their Rainbow Riches game. 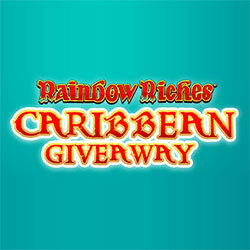 Every £10 you wager in this game will earn you 1 ticket into the prize draw, if you wager £10 in the Rainbow Riches Fortune Favours game, you'll earn yourself 2 tickets! You have until April 2nd to grab your tickets, with winners being drawn on the 3rd. If you come in first place, you can expect to snorkel in coral-rich waters, sip cocktails by the pool and indulge in delicious food, as well as live it up in an ocean view room with your return flights covered - how great is that! Of course, not coming first isn't the be all end all for players as there are over 20 prizes being handed out with this promotion, including some great cash prizes and some free spins! This promotion is available from Friday 23rd March until Monday 2nd April, with the prize draw taking place Tuesday 3rd April. Players will receive one ticket into the prize draw for every £10 wagered on Rainbow Riches, and players will receive double tickets into the prize draw for every £10 wagered on Rainbow Riches Fortune Favours. Players are allowed unlimited tickets. Free spin wagers will not count towards earning prize draw tickets.